Phone +49 (0) 9641 9369 - 0. Fax +49 (0) 9641 9369 - 222. Continue along the main road (Neue Amberger Straße 29 / B299), cross the intersection with traffic lights and remain on the road until you reach a dark red house with "HOTEL" advertisement arranged vertically on your left. You have reached Hotel Restaurant Böhm! Continue along the main road (Neue Amberger Straße 29 / B299) into direction of the intersection with traffic lights (into direction Pressath/Eschenbach) until you reach a dark red house with "HOTEL" advertisement arranged vertically on your right. 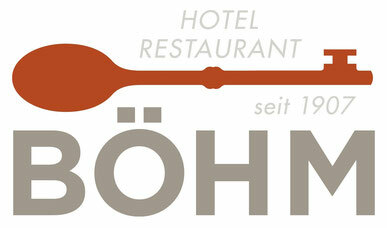 You have reached Hotel Restaurant Böhm!